Doyle Brunson is an American professional poker player, with more than 50 years of experience. He is in second place together with Johnny Chan on the number of WSOP (World Series of Poker) bracelets won, Phil Hellmuth taking the lead and ranking first. So far, he has earned about $ 6,000,000. The biggest win of his career was $ 1,198,290 in 2004 at the World Poker Tour Main Event. He is one of the first three (along with Gus Hansen and James Garner) poker stars to have been introduced to the World Poker Tour Celebrity Gallery in 2004. In addition, Doyle appeared in numerous TV tournaments such as "High Stakes Poker”, "Poker After Dark" or "National Heads-Up Poker Championships". In Las Vegas, his hometown, he often plays in Bellagio's "Big Game", a renowned game known for his high stakes. Throughout his career, Doyle Brunson has had an enormous influence on poker development. In 2006 he was named the most influential person in the world of poker by "Bluff" magazine. When asked if fame changed anything for him, he responds by saying that he still feels like a farmer’s son who knows how to enjoy the simple things offered by life. "I'm a gambler. That's what I will always be. I could not be anything else. Therefore, my life will always be full of victories and defeats. I would not like it if it were otherwise. It's interesting. I have never had a moment of boredom in my life. " 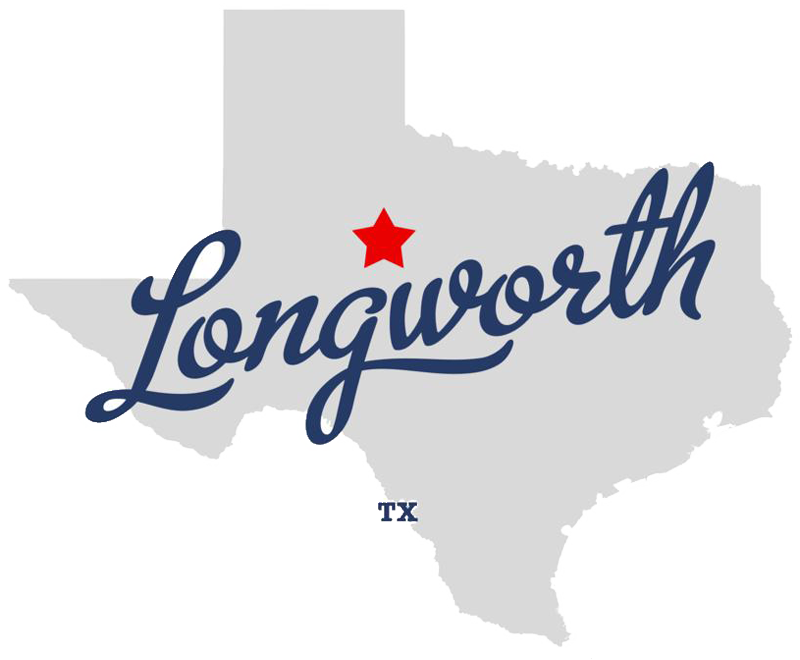 Doyle grew up in Longworth, the town where he was born on the 10th August 1933, an isolated place of about 100 inhabitants in the Fisher area of Texas. Even from an early age, Doyle was a passionate sportsman. To get out of his hometown in neighbouring communities, he did not take the bus but relied on his own feet as a means of transport. He ran quite frequently over long distances, and because his father worked at the local gym, Doyle had many opportunities to do physical exercise. Thanks to his sporting success, he has received scholarships from many colleagues. He decided to enrol at Hardin Simmons University in Abilene to be closer to home. Doyle continued to practice sports in college and eventually was highlighted by the renowned Minneapolis Lakers basketball team (today called the Los Angeles Lakers). Doyle's sports career had a sudden ending after a serious injury to his knee. He had his whole foot in plaster for two years and suffers the consequences until this day. After the accident, Doyle Brunson began focusing on studies and graduating Administrative Education. He has discovered his poker talent while in college. Even before the accident, he used to play Five Card Draw occasionally. But it was only when he had to give up a sport that he became completely dedicated to playing cards. After a short period of time, poker was no longer just a way of spending leisure time, but also an important source of income that helped him to pay his school fees. He owes much of his success to his ability to observe. He learned a lot about the game by watching it carefully and finally managed to understand how to accurately read his opponents. In 1960, Doyle fell in love with Louise, whom he married two years later. Doyle immediately knew he has found the woman he wanted to spend the rest of his life with. She wanted to marry her as soon as possible, but she was not sure she wanted to spend the rest of her life with a man who earned his life by playing poker. Doyle eventually managed to convince her that it was not a step down for her to marry a potato driver. The two had four children: Pamela, Todd, Cheryl and Doyla. Unfortunately, because of a heart disease, his daughter Doyla passed away at the age of eight. But his daughter's death was not going to be the only blow fate had in store for Doyle. In 1962, shortly after their wedding, while Louise was pregnant with her first child, Doyle was found to have a malignant tumour in his neck. It had to be urgently operated, but a tumour had already spread to the brain and the doctors declared it incurable. The only remaining option was a risky operation that would have prolonged his life for a while. Doyle decided to do the operation, he survived the procedure and, miraculously, the doctors managed to completely remove a tumour. After defeating cancer, Doyle hastened to return to the poker table because he wanted to ensure a good living for his growing family. Gradually, he began to create a reputation on the poker scene and quickly became a fearsome opponent. Doyle found a mentor in the person of Johnny Moss, from whom he learned a lot. Together with his friend Dwayne Hamilton, he travelled through Texas in search of games to play. Later he formed a trio with Thomas "Amarillo Slim" Preston and Brian "Sailor" Roberts, that became known as the "Texas Rounders”. In search of new challenges, the three moved to Las Vegas. There, however, they lost all their savings, a six-figure sum. Since then, they have decided to remain friends, but have not played poker as partners anymore. Loss of money did not quench Doyle’s joy of playing poker. On the contrary, Doyle began to train more intensively and managed to improve his game. He persuaded his wife to move to Las Vegas where he could legally play poker. One of the first and most important WSOP Champions! In 1976, Doyle won his first Poker World Series title at Deuce to Seven Lowball with no limit and the main limit Hold'em event. 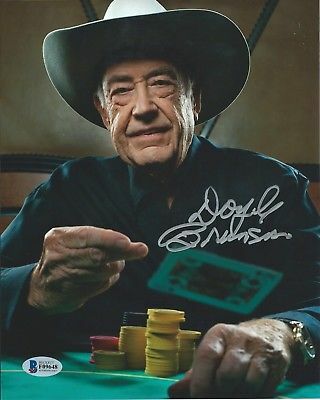 Doyle Brunson dominated the WSOP, a new appearance on the poker scene at the time, and he has successfully defended his leading position to this day. 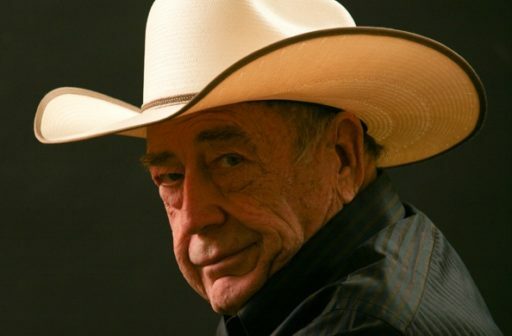 Doyle Brunson, along with Johnny Moss and Amarillo Slim, is one of the first WSOP champions. In 1977 he won two WSOP bracelets in Seven-Card Stud Hi-Lo with limit and Hold'em limitless. Both Unlimited Hold'em wins have remained in poker history. At the 2003 WSOP, Doyle Brunson won his new WSOP Gold Horse Bracelet with a limit, setting a new record. In 2005, he won the WSOP Main Event at Hold'em with no limit, and Doyle accepted the prize by saying, "Records exist to be shot down." With 10 bracelets, he got to the bench with Johnny Chan, but this record was to be shot down by Phil Hellmuth. However, Doyle did not think about retiring and once again proved to be part of the poker elite as one of the best poker players of all time. The whole world of poker was amazed when, at the WSOP in 2005, Doyle eliminated one of the biggest names in poker, such as Jason Lester, Ayaz Mahmood, Layne Flack, Scotty Nguyen and Minh Ly. winning the tournament. 5 Interesting facts about Doyle you may not know! Doyle owes the unusual nickname "Texas Dolly" to American sports commentator Jimmy "The Greek" Snyder. On a tour, Snyder had to present Brunson as "Texas Doyle," but he said it wrong, thus "Texas Dolly." Since then, most of his colleagues call him only Dolly. His family was always very religious, and he enjoyed the church together with his parents and sisters. After he started playing poker, he slowly forgot about that part of his life. It was only after the death of his daughter that spirituality returned to his list of preoccupations. He realized what is really important in life. However, he would never say about himself that he is a religious person in the traditional sense. Doyle has nothing to add to the subject of religion. His opinion is that everyone has the freedom to believe in what he thinks is right and not to criticize the beliefs of others. His favourite celebrity is "Jesus”. Since 1962, when he was diagnosed for the first time with cancer, this disease has relapsed five times! Each time it has withdrawn thanks to the optimism and resistance of this man. Last time he fought this disease was in 2016. Despite over 50 years at the tables, he doesn’t always make the right call, and one word turned up costing him $230 million. About 14 years ago, Brunson took advantage of his status to launch Doylesroom.com, certain to be a popular site for online poker. In 2006, the site was performing well and Brunson was a happy camper. It wasn’t long before Brunson was presented with an offer to sell the site, of which he still held 50% control. Expecting bigger things, though, Brunson said no. And that is how he ended up losing $230 million. Doyle's son, Todd Brunson, inherited his father's talent. He also plays poker and won the 2005 World Series of Poker (WSOP) in the Omaha Hi-Lo category. 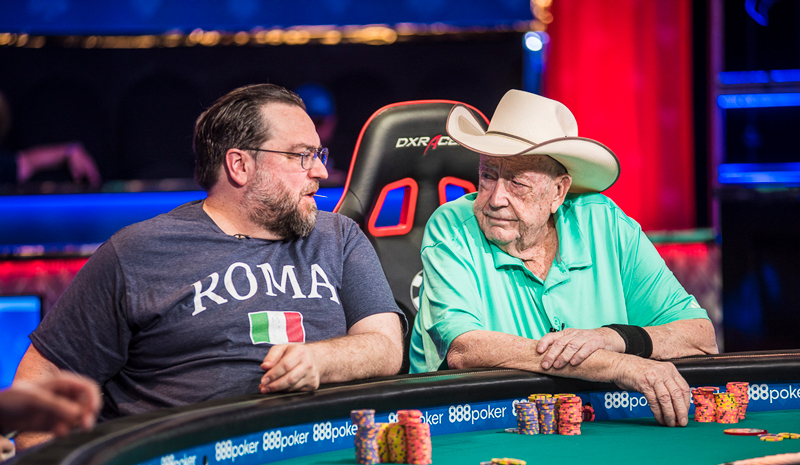 This makes the Brunson family the first father-son to win a WSOP bracelet. When asked if he encouraged his son to follow in his steps, Doyle responded with a determined "no". Todd discovered and taught himself to play the game. Doyle watched his son's first game in Las Vegas and immediately realized Todd's talent. Then one day Todd told him he wanted to play poker after graduation, and although his mother was not happy about it, Doyle did not try to stop him. Despite his advanced age, Doyle kept up to date with modern techniques and he was also busy with online poker. Not only has he written books on this topic, but he has founded his own online poker room, DoylesRoom in 2003 that had a real success in the beginning but failed after a few years. Apparently, Doyle had never played on DoylesRoom, but obviously, he encouraged online gambling. Texas Dolly clearly understands how important it is to be present in the virtual world. His website has an attractive design and contains interesting information about him as well as a photo gallery and discussion forum. He used to write many articles on his blog. His aggressive style of playing and his strategy for the limitless Hold'em have been adopted by the most successful players, whether consciously or not. 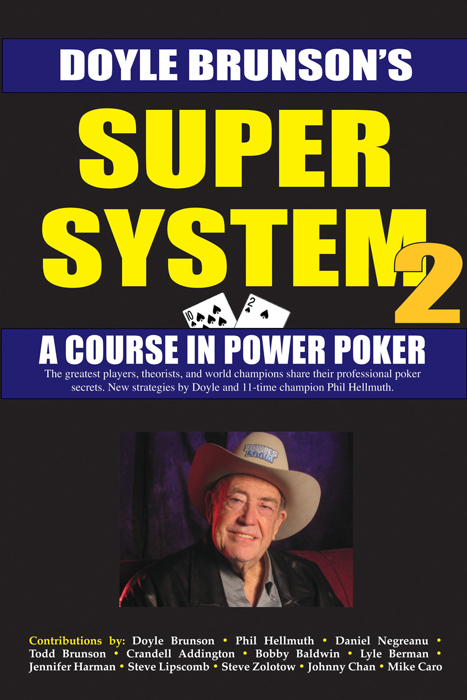 Doyle published his knowledge and secrets in 1979, two years after winning his second WSOP bracelet, in his book "Doyle Brunson's Super System: A Course in Power Poker." "Super System" was the first book of its kind and for many a kind of poker bible. Generations of young players have drawn inspiration from Doyle's book and tried to imitate his aggressive style. In 2004, the book "Super System 2" was released, a new, improved version of the previous book. Doyle also wrote other poker books, such as "According to Doyle," for the second time under the title "Poker Wisdom of a Champion". In 2005, the book "Online Poker: Your Guide to Playing Online Poker Safely and Winning Money" was published, a book Doyle has dedicated to the recent trend towards online poker. Moreover, Doyle writes the poker editorial of the famous British newspaper "The London Telegraph". Doyle and his wife live in Las Vegas, Nevada. In his spare time he likes to swim and listen to country music, and when he's asked which poker players he respects most, he says "there are too many to get them on a list." He played his last World Series of Poker tournament this summer, but Texas Dolly still does not think about completely retiring. He announced that he’s teamed up with his son Todd to unveil the new Brunson Poker Pro training course. Doyle hopes the new Brunson Poker Pro system builds on the legacy of helping others improve their game. One of his most famous quotes is “Failure should be our teacher, not our undertaker” and his entire life and carrier still inspire people around the world, poker players or just people attracted to his passion and his long career.